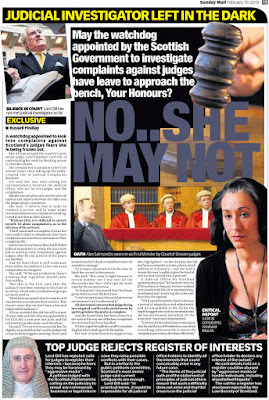 Law Society ‘knew’ banned rogue lawyer was being hidden by legal colleague. 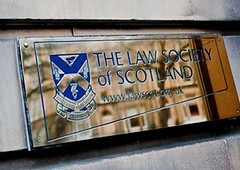 SEVEN MONTHS after the Law Society of Scotland claimed in court they could not serve court papers on a well known rogue solicitor because he had disappeared from public view, it has emerged the lawyers self regulator knew all along where their colleague was hiding out – in the posh house of another solicitor who works for a Glasgow based law firm. 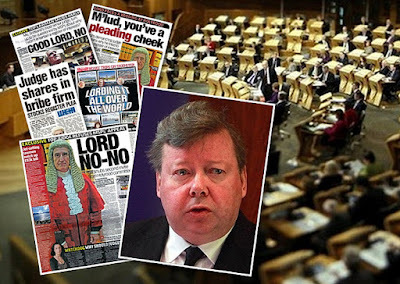 Last October, the Law Society of Scotland told the Court of Session the now former solicitor John G O’Donnell was “nowhere to be seen” and this was making it difficult for the regulator to serve him with a banning order forbidding him from posing as a solicitor. 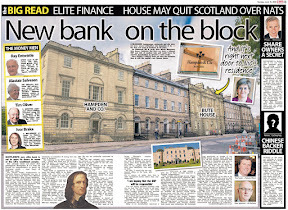 However, even as the Law Society told the Court of Session they could not find the rogue solicitor, journalists quickly located O’Donnell’s posh hideout in Glasgow, that of a house owned by a currently working solicitor linked to O’Donnell, and known to the Law Society of Scotland. 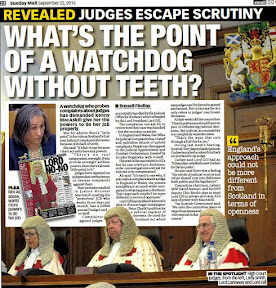 Speaking to Diary of Injustice last week, a legal insider described last October’s hearing at the Court of Session as “a sham” after it became apparent senior figures at the Law Society of Scotland knew exactly where O’Donnell was even though the judge was told otherwise. 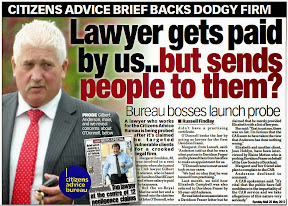 The hurried attempts by the Law Society to act on the negative publicity, culminating in the action at the Court of Session last year only came about after further investigations by the Sunday Mail newspaper revealed O’Donnell had been involved in a scam where people desperately in need of legal assistance were sent to him by ‘would-be solicitors’ who worked for Hamilton Citizens Advice Bureau. In a particularly shocking case, the Sunday Mail revealed O’Donnell had among over victims, targeted elderly widow Elizabeth Campbell. 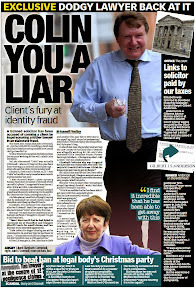 Papers obtained by the newspaper revealed that Gilbert S Anderson who worked as an ‘In-Court adviser for Hamilton Citizens Advice Bureau had sent Mrs Campbell to O’Donnell, who was posing as deceased solicitor Colin Anderson. 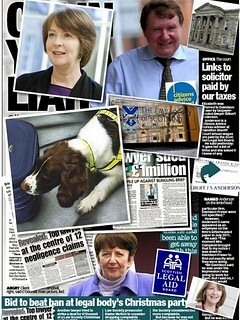 Of particular interest to the current case against O’Donnell is that Elaine Motion QC of Balfour & Manson who is currently representing the Law Society of Scotland in the Court of Session against John G O’Donnell, has previously represented the Law Society against O’Donnell at hearings before the Scottish Solicitors Discipline Tribunal. 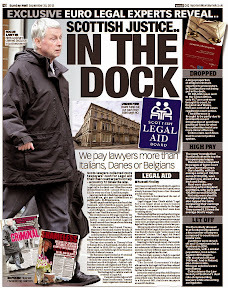 Legal observers following the O’Donnell saga have drawn attention to the fact that during one earlier attempt to prosecute O’Donnell before the SSDT, legal representatives of the rogue lawyer tried to broker a secret deal with the QC at a Law Society Christmas party in 2009. 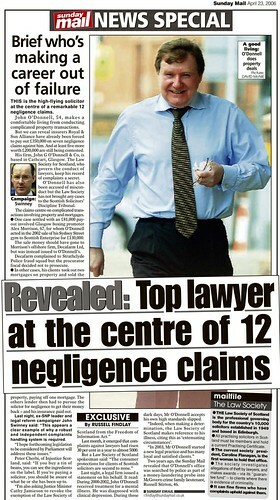 A ‘limited account’ of the 2009 Christmas party meeting between QC Elaine Motion & solicitor Steven Gold who acted for O’Donnell, was reported in the Tribunal's hearing into one of the complaints against O’Donnell, which is published online here Council of the Law Society of Scotland v John G O'Donnell and reprinted below as an example of double dealing behind the closed doors of self regulation of Scottish solicitors. 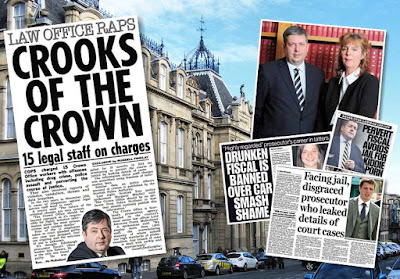 So far, the Lord Advocate & Scotland’s Crown Office & Procurator Fiscal Service (COPFS) have apparently refused to become involved in the case, instead preferring the matter remain a one for lawyers looking after their own. 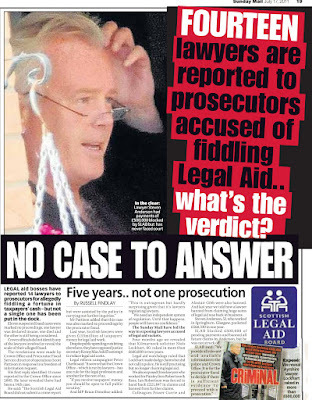 However, with claims surfacing from individuals that O’Donnell has undertaken new ‘legal work’ since last October’s court hearings, there are serious questions over the resolve of the Law Society to make an example of O’Donnell and many other rogue lawyers who escape any penalty or prosecution for their sharp practices against vulnerable clients in Scotland. 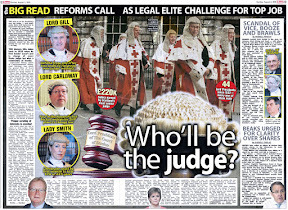 Courts remain a mess, transparency not for us says top judge. 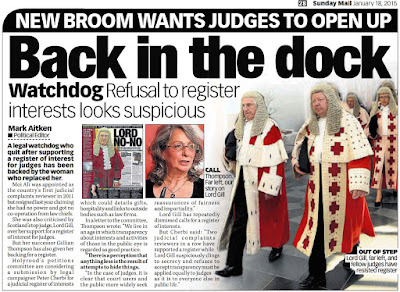 ONE YEAR ON from being appointed as the country’s top judge, the reality is that few in the way of productive changes to help Scots access justice have occurred in the courts ruled over by Lord Brian Gill, Scotland’s Lord President of the Court of Session. 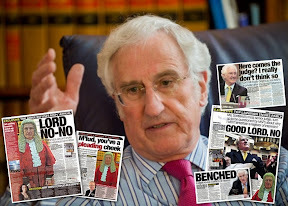 A year ago this month, Brian Gill was elevated from his former position of Lord Justice Clerk, to succeed the media savvy Lord Arthur Campbell Hamilton who served as Lord Justice General & Lord President from November 2005 to June 2012. 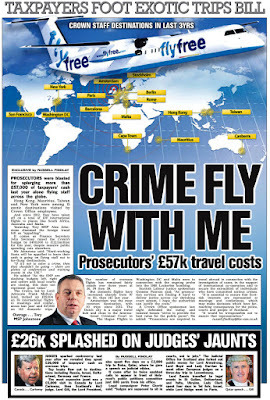 While publicly priding himself in putting on the air miles as Scotland’s top judge, flying around the globe on “diplomatic” commitments representing the Scottish judiciary in destinations from Uganda to Taiwan, little of the civil justice reforms Brian Gill called for as author of the Scottish Civil Courts Review have so-far made it to Scotland’s justice system, and those that have, have inevitably been watered down to an almost ineffectual state. 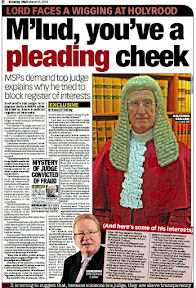 More worryingly, in spite of a continuing stream of questions surrounding the integrity of Scotland Prosecution Service, the Crown Office & Procurator Fiscal Service (COPFS), and numerous failures in his own Scottish Court Service which have contributed to Civil cases needlessly dragging on for decades in Scotland’s courts, little criticism has come from the top. This lack of top down discipline has seemingly allowing Prosecutors a free hand to botch up case after case, and even shred files before MSPs could request sight of them, while some Court of Session senators have allowed personal weakness, bias and even vitriol to creep into opinion after opinion. The current unwillingness of the Commander in Chief of our Courts to bring the system into line with public expectation of justice, and more importantly fairness, compares strangely with previous examples where the integrity of the justice system was at stake, for example, when Lord Gill’s predecessor clashed with a former Lord Advocate over the collapse of the World’s End murder trial. Willing to tackle an institution recently dubbed “institutionally corrupt”, Lord Hamilton as Lord President wasted no time publicly castigating the Crown Office, accusing it’s then Lord Advocate Elish Angiolini (nee McPhilomy) of attacking the independence and reputation of the judiciary after Angiolini directly addressed the Scottish Parliament stating she was disappointed with the trial judge Lord Clarke’s ruling there was insufficient evidence for the jury to convict and threw the case out. 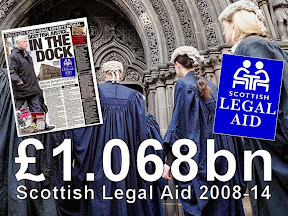 As matters stand one year on, this Lord President has so far, remained almost mute in publicly combating what many perceive as the vested interests of the current legal establishment, who appear to be more interested in the continuing disruption to access to justice rather than it’s expansion to serve all Scots instead of those selected on a whim by the legal profession. 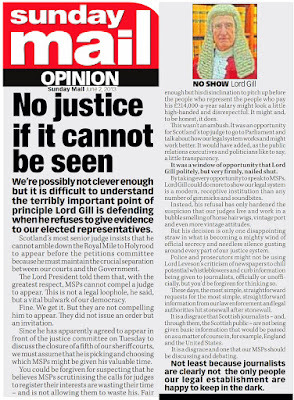 Of much concern currently, is Lord Gill’s hostility towards proposals put before MSPs at the Scottish Parliament to create a statutory register of interests for Scotland’s Judiciary. 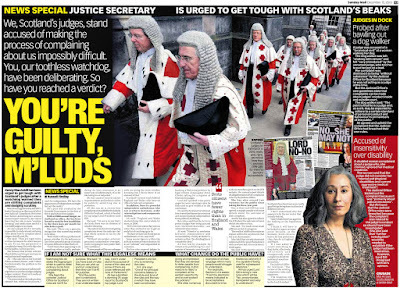 As has been widely reported in the media, by the Sunday Mail newspaper and others, and by Diary of Injustice, Lord Gill has now twice refused to attend the Scottish Parliament to give evidence on, and answer questions in public relating to the so-far hidden, undeclared interests of Scotland’s judges. 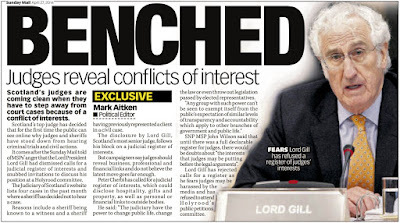 Lord Gill has taken the fight against transparency to the extremes, refusing to provide detailed, analytical evidence on how judges have (or have not) recused themselves over the years, and in what circumstances these recusals took place, in response to repeated written requests from MSPs. The Lord President has gone so far as to cast an EU report in the face of Holyrood, as an excuse for refusing to attend the Public Petitions Committee and has alleged any attempt to require judges to disclose their hidden wealth along with other interests, would compromise the independence of the judiciary. Yet bizarrely, with his conviction set against openness, Lord Gill apparently feels he cannot answer questions in public about this same EU report he has used in his defence. 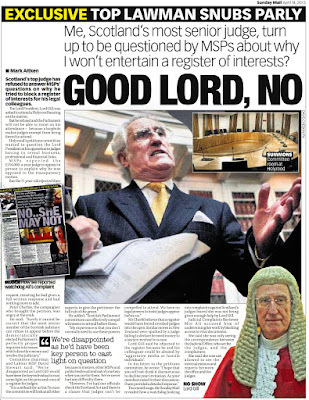 Could Lord Gill’s refusal to answer questions in public on the very evidence he puts forward for doing nothing on a register of judicial interests be because his EU report was written by retired judges who themselves have a vested interest in not creating a register of interests for the judiciary? 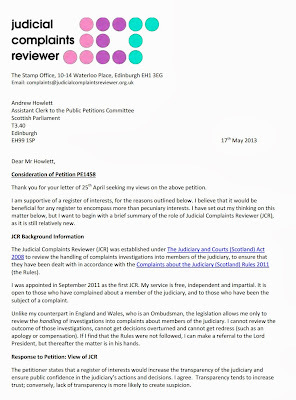 In a response provided to the Public Petitions Committee, MSPs have been asked to arrange evidence sessions on the petition as has previously been suggested by Committee members, and would welcome others joining the debate, be they members of Consumer Protection organisations, the Scottish Government, the Judicial Complaints Reviewer, the Law Society of Scotland, the Faculty of Advocates, the Lord Advocate and representatives of the media who might wish to participate in public evidence sessions. 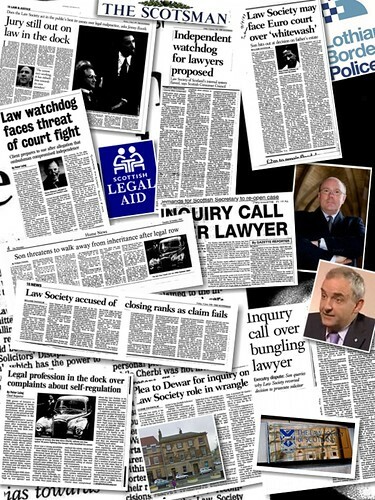 Much promised Naming & shaming of rogue lawyers yet to happen in England & Wales MORE THAN TWO YEARS after much debate and numerous consultations which received widespread support from consumer groups and the Office of Fair Trading (OFT) for the Legal Ombudsman (LeO) of England & Wales to name & shame rogue solicitors & law firms in published complaints data, the policy decision taken by the LeO in April 2012 to publish the identities of lawyers involved in client complaints, has not yet resulted in publication of a single solicitor or law firm’s identity. However, many consumers and some consumer protection groups had expected the LeO to begin publishing the identities of rogue solicitors and their law firms last year. Speaking to Diary of Injustice nearly a year ago last July 2012 Chief Ombudsman, Adam Sampson said at the time : “Our Board wanted to ensure that we’re certain about the accuracy of the data we report in the first data set of published Ombudsman decisions and that the lawyers and law firms who’ll be named have an opportunity to point out any discrepancies prior to publication. Speaking on the LeO’s plans to publish complaints data & the identities of law firms who perform poorly for clients, Elisabeth Davies, Chair of the Legal Services Consumer Panel (LSCP), said at the time : “Research shows that UK consumers are now leaving well over 100 million comments online every year about their experience with businesses across the economy. Lawyers cannot escape this welcome emergence of consumer power, but instead should seek and then use such feedback to improve the service they offer. However, to-date, no solicitor has yet been named by the LeO, prompting fears in some quarters that protests from the legal profession and alleged murmurs of potential legal action by English lawyers if their names appear in complaints data, has put the brakes on total transparency. 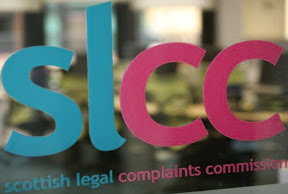 For now, consumers are still in the dark over which solicitors & law firms fair better than others in complaints data. Exactly when the Legal Ombudsman does identify rogue lawyers and law firms remains to be decided. 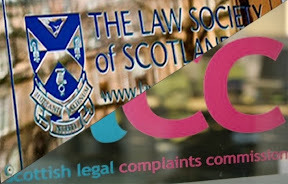 Historically, the Scottish Legal Complaints Commission has refused to name any Scottish solicitors or law firms involved in complaints, citing reasons of confidentiality and the terms of the Legal Profession & Legal Aid (Scotland) Act 2007 for the prohibition of naming crooked lawyers in Scotland. It is not thought the SLCC in its current format will ever identify rogue lawyers. Labels: Adam Sampson, Legal Ombudsman, Legal Services Consumer Panel, Naming and Shaming, Office of Fair Trading, Scottish Legal Complaints Commission, Which? 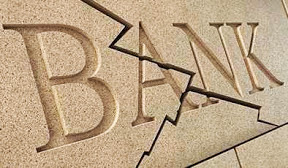 Broken regulation applies to many more services than just banks. 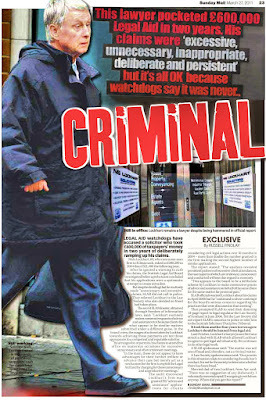 During a week in which England’s NHS regulator, the Care Quality Commission (CQC) was forced to admit (in response to a review) it had covered up information relating to the deaths of babies at a hospital in Cumbria, and at Westminster, the Cross-party Parliamentary Commission on Banking Standards report recommended bankers found guilty of a yet to be created criminal offence of “reckless misconduct” be jailed, it is not too difficult to put forward the point once more that regulation as we know it is ineffective and does not pose any deterrent to those it purports to regulate. Let’s face it, if regulators are happy enough to cover up the deaths of babies in hospitals, and profit from such a cover up, what chance does any of us have in getting justice against any complaint lodged with any of the current regulators of any profession or public service ? Diary of Injustice has previously reported on cases in Scottish hospitals where in one particularly case of the death of baby McKenzie Wallace at an NHS Forth Valley hospital reported HERE, regulation in the form of the Scottish Public Services Ombudsman (SPSO) ‘Complaints Reviewer’, Eileen Masterman, did nothing to explain the tragic events, other than to produce a ‘whitewash report’ which only contributed further to the hospital’s cover up. Time and again, we are promised change, told “lessons will be learned” and what happened will never happen again, but it does, whether it’s another avoidable death in a hospital, or an avoidable rip off of consumers and those who should face a court and be found guilty escape with a big fat pension while their victims are left to pick up the pieces. The recommendations of the Parliamentary Commission on Banking Standards tell a story many consumers have known for years when it comes to regulation. With particular regard to the creation of a criminal offence of reckless misconduct, such a move should not only be limited to bankers, rather also it should be applied to all those professions where the long standing cosy clubs of self regulation have seen the public are let down time & again. * A new power for the regulator to cancel all outstanding deferred remuneration, along with unvested pension rights and loss of office or change of control payments, for senior bank employees in the event of their banks needing taxpayer support, creating a major new incentive on bankers to avoid such risks. Similarly, the key points of the report on Banking standards also tell the same story of problems in the legal profession, and those others in the justice system who work in, manage, and rule over our “Victorian” courts system. * Given the misalignment of incentives in banking, it should be no surprise that deep lapses in standards have been commonplace. The Commission’s Final Report, ‘Changing banking for good’, contains a package of recommendations to raise standards. * The recommendations cover several main areas including: making senior bankers personally responsible, reforming bank governance, creating better functioning and more diverse markets, reinforcing the powers of regulators and making sure they do their job. 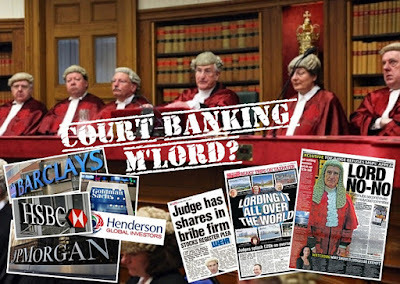 Just as in banking, when there is no incentive to be honest in our justice system, whether you are a member of the judiciary, a court clerk, a solicitor or even a member of a self regulator of solicitors, the same deep lapses in standards have also become commonplace because there is no deterrent in current regulation and no fear of being caught. If we are going to charge the bankers with reckless misconduct for ruining the banks, we may as well also charge the lawyers who ruin countless clients, and get away with it in the same way the bankers have done up to now. 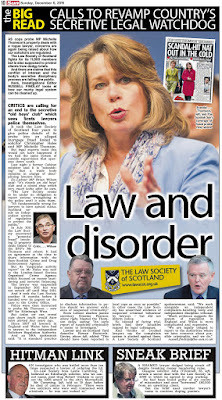 If this were to happen, and the likes of the John O'Donnell's and countless other reckless lawyers in Scotland face a custodial term for their wholesale thieving, attitudes within the prosecution service would also have to change, particularly in Scotland where our own Lord Advocate’s Crown Office refused to prosecute FOURTEEN lawyers for legal aid fraud. 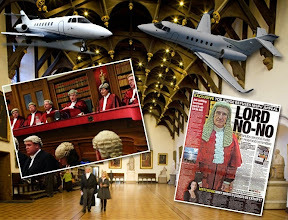 But of course, when these events happen around the fringes of a stone age legal system where our top judge would rather listen to organ music and play ‘fly me to the moon’ than show up to answer questions in our sovereign Parliament about transparency in the judiciary, and perhaps give an indication as to why judges seem to think they are above the law, then what can we expect ? Moi Ali, Scotland’s first ever Judicial Complaints Reviewer has told MSPs in her letter to Holyrood’s Public Petitions Committee that “Better transparency would enhance the standing of that judiciary and bring judicial office holders into line with other holders of important roles in public life.”. Ms Ali went on in her response to dispel arguments put forward by the vested interests of the Lord President, Law Society of Scotland & others against the proposal. 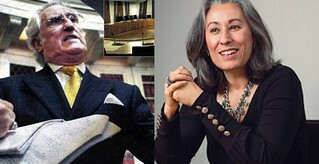 In a move which contrasts sharply with the bitter hostility of Scotland’s top judge, the Lord President Lord Brian Gill to Petition PE1458, Ms Ali has taken a radical approach to issues put forward in the petition by creating a register of interests for the office of Judicial Complaints Reviewer, a register which is to be published soon on the JCR’s website. In a further bold move, the Judicial Complaints Reviewer told the Petitions Committee that any register of interests for judges should be expanded to include non financial interests and other links. Moi Ali stated : “Should a register of interests be limited to pecuniary interests? I believe that it should also encompass non-financial interests such as memberships, unpaid trusteeships, and any relevant close family/friendship links that may be perceived as a potential conflict of interest. One review I undertook last year concerned a complaint about a judge who had allegedly used their judicial position to promote a body that was alleged to have breached international law. Another concerned a sheriff who allegedly participated in a social function organised by the defender during the proof hearing. Speaking to Diary of Injustice earlier today, law journalist Peter Cherbi said he was grateful for the support of the Judicial Complaints Reviewer, and commended her approach to transparency. Scotland’s legal system clearly needs more people like Moi Ali. Thank you for your letter of 25th April seeking my views on the above petition. I am supportive of a register of interests, for the reasons outlined below. I believe that it would be beneficial for any register to encompass more than pecuniary interests. I have set out my thinking on this matter below, but I want to begin with a brief summary of the role of Judicial Complaints Reviewer (JCR), as it is still relatively new. 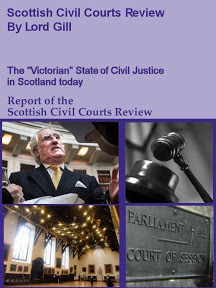 The Judicial Complaints Reviewer (JCR) was established under The Judiciary and Courts (Scotland) Act 2008 to review the handling of complaints investigations into members of the judiciary, to ensure that they have been dealt with in accordance with the Complaints about the Judiciary (Scotland) Rules 2011(the Rules). I was appointed in September 2011 as the first JCR. My service is free, independent and impartial. It is open to those who have complained about a member of the judiciary, and to those who have been the subject of a complaint. Unlike my counterpart in England and Wales, who is an Ombudsman, the legislation allows me only to review the handling of investigations into complaints about members of the judiciary. I cannot review the outcome of those investigations, cannot get decisions overturned and cannot get redress (such as an apology or compensation). If I find that the Rules were not followed, I can make a referral to the Lord President, but thereafter the matter is in his hands. The petitioner states that a register of interests would increase the transparency of the judiciary and ensure public confidence in the judiciary’s actions and decisions. I agree. Transparency tends to increase trust; conversely, lack of transparency is more likely to create suspicion. 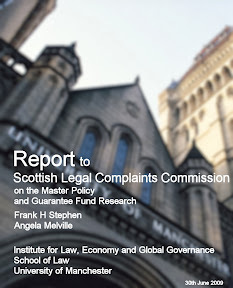 Some of those responding to the petition (such as the Lord President, the Law Society of Scotland and the Scottish Government), argue that a register of interests is unnecessary, referring, among other things, to the complaints process as a safeguard. In my role as Judicial Complaints Reviewer, I am part of that process. As is the nature of my role as a reviewer, I deal with dissatisfied people. It might be argued that they are not representative of the wider public, although that is not a view that I would take. Some people who contact me write of the judiciary sticking together, defending its own interests, and lacking transparency. If that view is a representative one, anything that increases judicial transparency is good both for the public and also for the judiciary. Greater transparency can only boost public trust and confidence and enhance the standing of the judiciary. 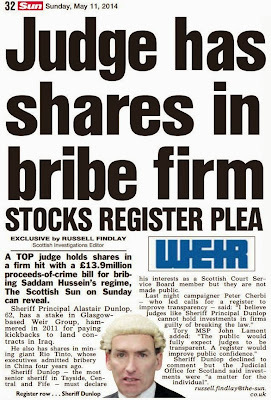 One argument put forward against a register of interests is that it is unnecessary, as there is provision under the Judiciary and Courts (Scotland) Act 2008 to regulate and investigate the conduct of judicial office holders, that a complaints process is in place and to date there have been no substantiated complaints alleging judicial bias. I have received requests to review complaints in which allegations of judicial bias have been raised. It may be that no “substantiated” complaints have been made, but that is not to say that no complaints of this nature have been made. I received one such review request a few months ago via a Member of Parliament, and I completed another one in the last few weeks, and there have been others too. Registers of interest are now a normal part of public life and it seems right that the judiciary should not be out of line with what is required of others who hold high public office. I have completed registers of interest for my roles on public boards such as the Scottish Ambulance Service and Scottish Police Authority. It is not onerous to update this annually or when any changes in circumstance occur. Members of the Petitions Committee will have undertaken something similar themselves in their parliamentary life. Although not required to do so, I have prepared my own register of interest and will shortly be publishing it on my website. I believe that the JCR should be required to do this, either by legislation or as a requirement set out in their letter of appointment from the Minister. Should a register of interests be limited to pecuniary interests? I believe that it should also encompass non-financial interests such as memberships, unpaid trusteeships, and any relevant close family/friendship links that may be perceived as a potential conflict of interest. One review I undertook last year concerned a complaint about a judge who had allegedly used their judicial position to promote a body that was alleged to have breached international law. Another concerned a sheriff who allegedly participated in a social function organised by the defender during the proof hearing. We are very lucky in this country to have an independent judiciary. Better transparency would enhance the standing of that judiciary and bring judicial office holders into line with other holders of important roles in public life. I am happy to provide any further information that you require. 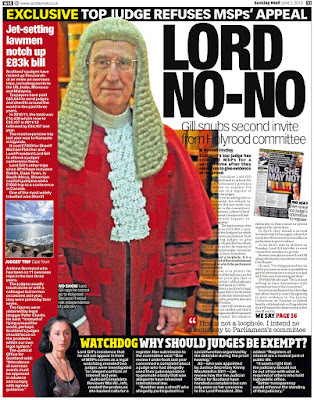 Lord Gill goes to Holyrood, willing to talk about court closures, not judge’s hidden wealth & vested interests. 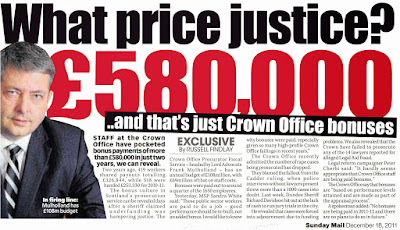 UNDERPREFORMING Scottish courts need to be closed as part of a process to make savings of 20% in the Scottish Court Service budget by 2015, Scotland's top judge Lord President Lord Brian Gill and representatives of the Scottish Court Service told MSPs on the Scottish Parliament’s Justice Committee earlier this week on Tuesday. 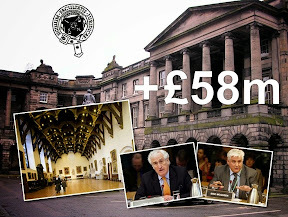 The closures, already approved by the Scottish Government last year will see ten sheriff courts and seven justice of the peace courts shut down in an effort to streamline Scotland’s Victorian justice system. Lord Gill’s attendance at the Justice Committee on Tuesday can be viewed on BBC Democracy Live, HERE. The session passed off without much ado, bar some slight signs of dispute over how the Scottish Courts Service had handled the court closures, after MSPs on the Justice Committee raised questions of why many of Scotland’s local sheriff courts buildings have been left with a £57 million pound repair backlog while Parliament House, home to Scotland’s Court of Session and the top tier of the judiciary, including Lord Gill himself, has seen well over £60 million pounds spent on it in the past five years. 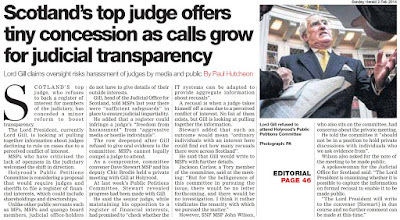 Notably, the Lord President showed little difficulty discussing issues relating to the court closures, an apparently less threatening subject for Scotland’s most senior judge who has now twice refused to attend another Scottish Parliament Committee to give evidence on simple questions of transparency within the judiciary, raised in Petition PE1458: Register of Interests for members of Scotland's judiciary. 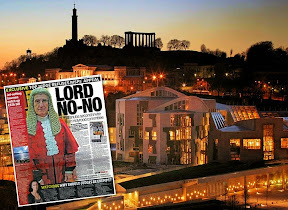 Lord NO-NO : Top Judge defies Scottish Parliament on Judiciary’s interests Last week, Scotland’s Sunday Mail newspaper, and Diary of Injustice reported on a letter sent by Lord Gill to MSP David Stewart, Convener of Holyrood’s Public Petitions Committee. 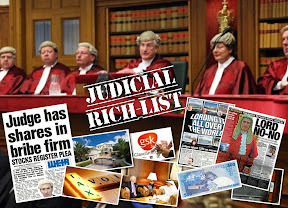 In the letter the Lord President again refused to accept an invitation from MSPs to discuss the current system of how judges recuse themselves and, inevitably face questions on the hidden wealth, undeclared interests and other vested interests of Scotland's closed door judiciary. 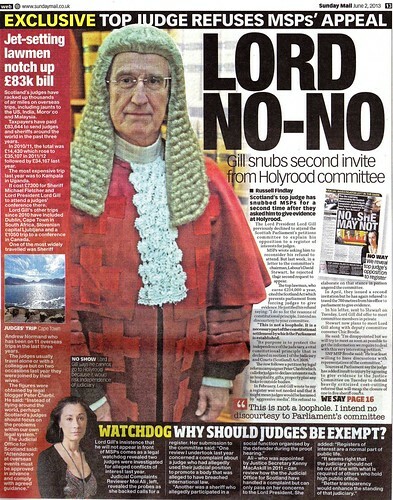 Lord Gill told MSPs the Scotland Act as it currently stands, allows judges to pick & choose what subjects they feel comfortable discussing at the Scottish Parliament, however it does not seem in the public interest that the Scotland Act is now being used by the judiciary to hide their indiscretions, criminal convictions and secret interests which are not being declared in courts as they should be. 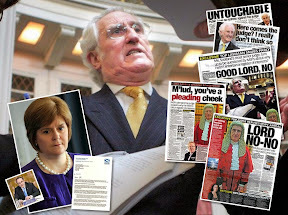 Lord Gill’s letter stated : “Judges have from time to time given evidence to committees of the Scottish Parliament on matters that affect the administration of justice in Scotland. I hope that that has been helpful in the legislative process. Judicial participation in the work of the committees must however be kept within prudent limits. The letter from the Lord President also pointedly reminded MSPs of a now rather Victorian era excuse of protecting the independence of the judiciary from situations which may compromise it. 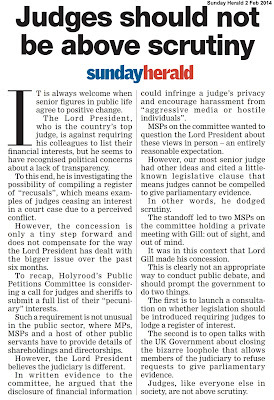 In this case, apparently discussing the secret interests of the judges themselves is curiously seen by the Lord President as an issue which may compromise Scotland’s judiciary over a simple issue of transparency. 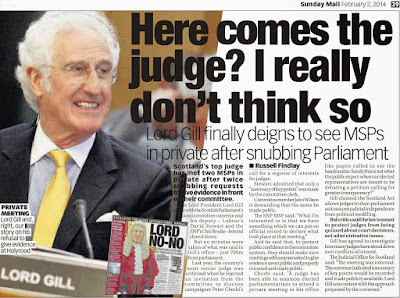 Judicial Immunity from transparency - Lord Gill will not answer questions over judge’s financial interests. 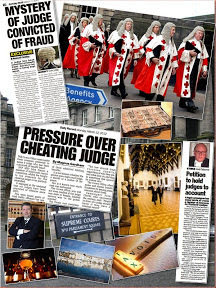 SCOTLAND’S top judge, Lord President Lord Brian Gill has again refused to attend the Scottish Parliament to answer questions from MSPs who are considering the issues of judicial transparency raised in Petition PE1458: Register of Interests for members of Scotland's judiciary, filed by Scots law journalist Peter Cherbi. The petition, which has caused several run-ins with Lord Gill, who was previously viewed as more open to change in the justice system, calls on the Scottish Parliament to legislate for a requirement that all members of the Judiciary in Scotland to submit their interests & hospitality received to a publicly available Register of Interests. 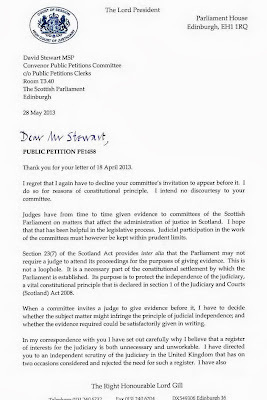 The latest letter from Lord Gill to the Convener of the Public Petitions Committee, David Stewart MSP, which is dated 28 May 2013, cites issues of “constitutional principle” and the “independence of the judiciary” as reasons for Lord Gill’s refusal to attend the PPC to give evidence on judge’s interests and provide details on how the current system of judges recusing themselves operates in Scotland. 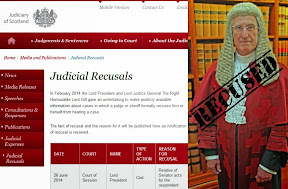 The response from the Lord President also fails to answer questions now put twice to the Lord President, asking for statistical information on how the system of judges recusing themselves operates. 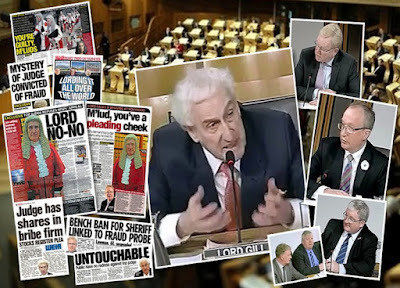 Lord Gill has now been asked twice by MSPs to provide information on how many judges have been recused and whether there is more detailed evidence on the effectiveness of the current system. 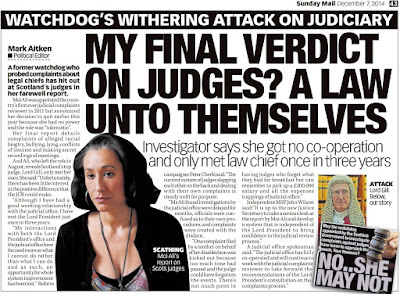 Clearly these are not questions Scotland’s top judge can or is willing to provide answers to, raising serious questions over the honesty and integrity of Scotland’s judiciary. 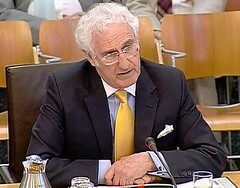 Lord Gill went on to cite the Scotland Act, reminding MSPs they may not require a judge to attend proceedings for the purposes of giving evidence, claiming the missing part of the Scotland Act was not a loophole, rather a protection mechanism for protecting the independence of the judiciary from politicians. However, many will see this as a mechanism for covering the backs of the unelected judiciary who are bitterly resisting transparency and hold such power they can easily strike down legislation with one mere comment or opinion in court. 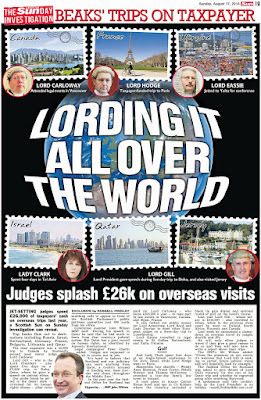 In an attempt to placate his stubborn position on the protection of judges vast secret & financial interests, as well as records of criminal convictions including Benefits Cheating, Lord Gill again cited an EU report which itself has been prepared and written by judges who have a vested interest in preventing any register of judicial interests going ahead. 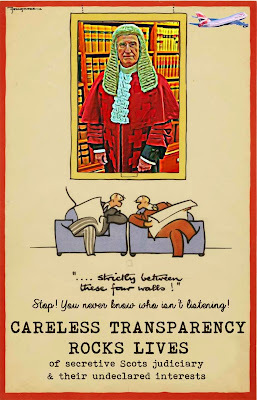 The report,which Lord Gill and the Scottish judiciary are relying on to keep their dirty linen secret, is available here : GRECO FOURTH EVALUATION ROUND Corruption prevention in respect of members of Parliament, Judges and Prosecutors. 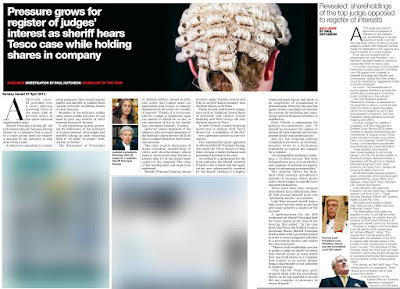 Lord Gill conveniently left out of his letter to the PPC Committee Convener, any references to his judicial colleagues who had signed up to be interviewed to complete the EU report, rather than attending the Scottish Parliament to answer questions on their own secretive financial interests. 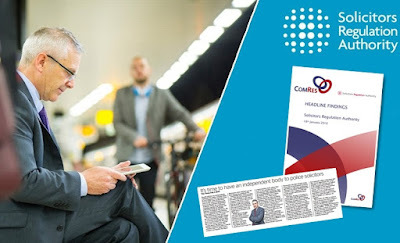 Lord Gill ended his letter by offering to meet the Committee Convener in private to discuss the constitutional implications of the Public Petitions Committee’s invitation. 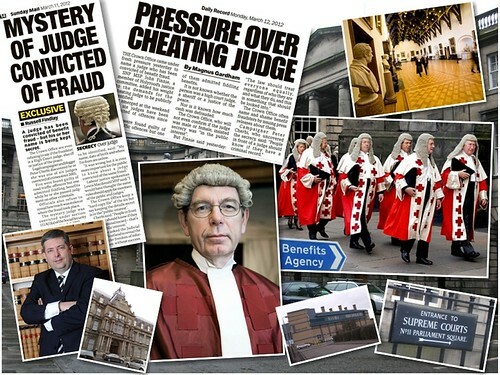 The irony of Scotland’s to judge holding secret meetings to discuss a call for transparency within the judiciary will not be lost on legal observers to this on-going battle over the hidden secrets of Scotland’s judges. Thank you for your letter of 18 April 2013. I regret that I again have to decline your committee's invitation to appear before it. I do so for reasons of constitutional principle. I intend no discourtesy to your committee. 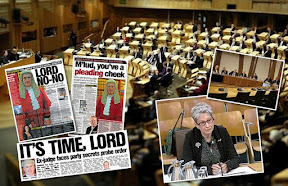 Judges have from time to time given evidence to committees of the Scottish Parliament on matters that affect the administration of justice in Scotland. I hope that that has been helpful in the legislative process. Judicial participation in the work of the committees must however be kept within prudent limits. Section 23(7) of the Scotland Act provides inter alia that the Parliament may not require a judge to attend its proceedings for the purposes of giving evidence. This is not a loophole. It is a necessary part of the constitutional settlement by which the Parliament is established. 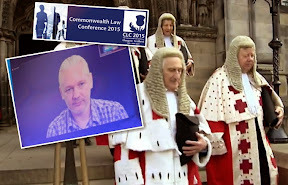 Its purpose is to protect the independence of the judiciary, a vital constitutional principle that is declared in section 1 of the Judiciary and Courts (Scotland) Act 2008. 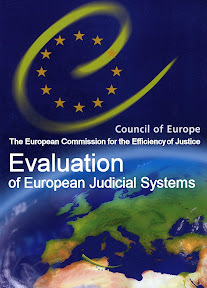 When a committee invites a judge to give evidence before it, I have to decide whether the subject matter might infringe the principle of judicial independence; and whether the evidence required could be satisfactorily given in writing. In my correspondence with you I have set out carefully why I believe that a register of interests for the judiciary is both unnecessary and unworkable. I have directed you to an independent scrutiny of the judiciary in the United Kingdom that has on two occasions considered and rejected the need for such a register. I have also directed you to the decision of the United Kingdom Government to accept that finding, and to the decision of the United Kingdom Supreme Court not to create a register. That I think, is as much useful evidence as I am in a position to give on the subject; but if there is any further information that you feel would be relevant and helpful to the committee, please let me know and I will consider the matter further. In your letter you have asked whether any central record has been kept of failures by judges to recuse themselves. The Lord President has been responsible for matters concerning the conduct of judicial office holders since April 2010. During that period there has been no case in which a judge has been found guilty of misconduct for a failure to recuse. If you would find it helpful I would be pleased to meet with you to discuss the constitutional implications of the Committee's invitation.